Attention Deficit Disorder with Hyperactivity: As an integral part of a total treatment program that typically includes other remedial measures (psychological, educational, social) for a stabilizing effect in pediatric patients (ages 3 years to 16 years) with a behavioral syndrome characterized by the following group of developmentally inappropriate symptoms: Moderate to severe distractibility, short attention span, hyperactivity, emotional lability, and impulsivity. The diagnosis of this syndrome should not be made with finality when these symptoms are only of comparatively recent origin. 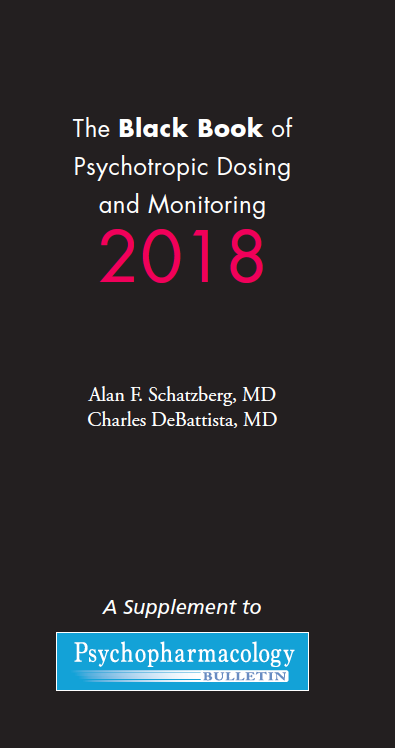 Nonlocalizing (soft) neurological signs, learning disability, and abnormal EEG may or may not be present, and a diagnosis of central nervous system dysfunction may or may not be warranted. Amphetamines should be administered at the lowest effective dosage and dosage should be individually adjusted. Late evening doses—particularly with the SPANSULE capsule form—should be avoided because of the resulting insomnia. Narcolepsy: Usual dose is 5 to 60 mg per day in divided doses, depending on the individual patient response. Narcolepsy seldom occurs in children under 12 years of age; however, when it does, DEXEDRINE may be used. The suggested initial dose for patients aged 6 to 12 is 5 mg daily; daily dose may be raised in increments of 5 mg at weekly intervals until an optimal response is obtained. In patients 12 years of age and older, start with 10 mg daily; daily dosage may be raised in increments of 10 mg at weekly intervals until an optimal response is obtained. If bothersome adverse reactions appear (e.g., insomnia or anorexia), dosage should be reduced. SPANSULE capsules may be used for once-a-day dosage wherever appropriate. With tablets, give first dose on awakening; additional doses (1 or 2) at intervals of 4 to 6 hours. Attention Deficit Disorder with Hyperactivity: Not recommended for pediatric patients under 3 years of age. In pediatric patients from 3 to 5 years of age, start with 2.5 mg daily, by tablet; daily dosage may be raised in increments of 2.5 mg at weekly intervals until optimal response is obtained. In pediatric patients 6 years of age and older, start with 5 mg once or twice daily; daily dosage may be raised in increments of 5 mg at weekly intervals until optimal response is obtained. Only in rare cases will it be necessary to exceed a total of 40 mg per day. 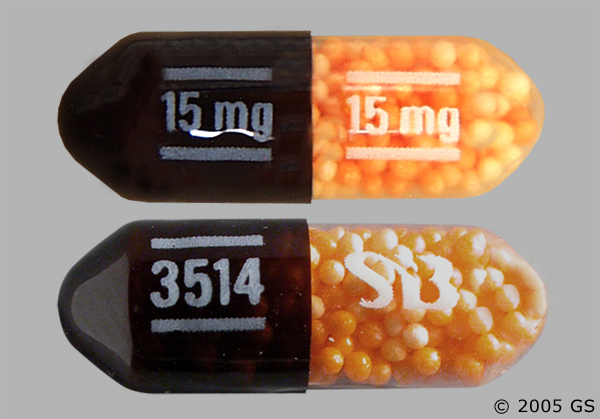 SPANSULE capsules may be used for once-a-day dosage wherever appropriate. With tablets, give first dose on awakening; additional doses (1 or 2) at intervals of 4 to 6 hours. Where possible, drug administration should be interrupted occasionally to determine if there is a recurrence of behavioral symptoms sufficient to require continued therapy. Sudden Death in Patients with Pre-existing Structural Cardiac Abnormalities or Other Serious Heart Problems: Children and Adolescents: Sudden death has been reported in association with CNS stimulant treatment at usual doses in children and adolescents with structural cardiac abnormalities or other serious heart problems. Although some serious heart problems alone carry an increased risk of sudden death, stimulant products generally should not be used in children or adolescents with known serious structural cardiac abnormalities, cardiomyopathy, serious heart rhythm abnormalities, or other serious cardiac problems that may place them at increased vulnerability to the sympathomimetic effects of a stimulant drug. Adults: Sudden deaths, stroke, and myocardial infarction have been reported in adults taking stimulant drugs at usual doses for ADHD. Although the role of stimulants in these adult cases is also unknown, adults have a greater likelihood than children of having serious structural cardiac abnormalities, cardiomyopathy, serious heart rhythm abnormalities, coronary artery disease, or other serious cardiac problems. Adults with such abnormalities should also generally not be treated with stimulant drugs (see CONTRAINDICATIONS). Pre-Existing Psychosis: Administration of stimulants may exacerbate symptoms of behavior disturbance and thought disorder in patients with a pre-existing psychotic disorder. Bipolar Illness: Particular care should be taken in using stimulants to treat ADHD in patients with comorbid bipolar disorder because of concern for possible induction of a mixed/manic episode in such patients. 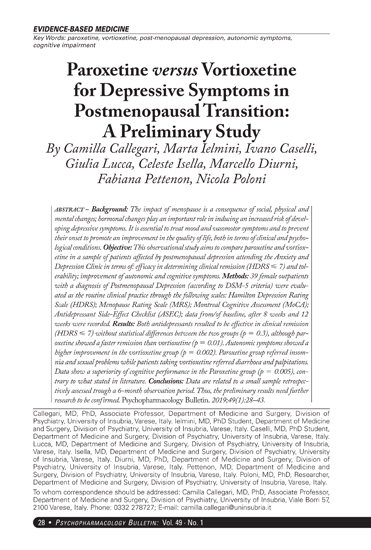 Prior to initiating treatment with a stimulant, patients with comorbid depressive symptoms should be adequately screened to determine if they are at risk for bipolar disorder; such screening should include a detailed psychiatric history, including a family history of suicide, bipolar disorder, and depression. Emergence of New Psychotic or Manic Symptoms: Treatment emergent psychotic or manic symptoms, e.g., hallucinations, delusional thinking, or mania in children and adolescents without a prior history of psychotic illness or mania can be caused by stimulants at usual doses. If such symptoms occur, consideration should be given to a possible causal role of the stimulant, and discontinuation of treatment may be appropriate. In a pooled analysis of multiple short-term, placebo-controlled studies, such symptoms occurred in about 0.1% (4 patients with events out of 3,482 exposed to methylphenidate or amphetamine for several weeks at usual doses) of stimulant-treated patients compared to 0 in placebo-treated patients. Aggression: Aggressive behavior or hostility is often observed in children and adolescents with ADHD, and has been reported in clinical trials and the postmarketing experience of some medications indicated for the treatment of ADHD. Although there is no systematic evidence that stimulants cause aggressive behavior or hostility, patients beginning treatment for ADHD should be monitored for the appearance of, or worsening of, aggressive behavior or hostility. Seizures: There is some clinical evidence that stimulants may lower the convulsive threshold in patients with prior history of seizures, in patients with prior EEG abnormalities in absence of seizures, and, very rarely, in patients without a history of seizures and no prior EEG evidence of seizures. In the presence of seizures, the drug should be discontinued. Visual Disturbance: Difficulties with accommodation and blurring of vision have been reported with stimulant treatment. General: The least amount feasible should be prescribed or dispensed at 1 time in order to minimize the possibility of overdosage. The tablets contain FD&C Yellow No. 5 (tartrazine), which may cause allergic-type reactions (including bronchial asthma) in certain susceptible individuals. Although the overall incidence of FD&C Yellow No. 5 (tartrazine) sensitivity in the general population is low, it is frequently seen in patients who also have aspirin hypersensitivity. Information for Patients: Amphetamines may impair the ability of the patient to engage in potentially hazardous activities such as operating machinery or vehicles; the patient should therefore be cautioned accordingly. Prescribers or other health professionals should inform patients, their families, and their caregivers about the benefits and risks associated with treatment with dextroamphetamine and should counsel them in its appropriate use. A patient Medication Guide is available for DEXEDRINE. The prescriber or health professional should instruct patients, their families, and their caregivers to read the Medication Guide and should assist them in understanding its contents. Patients should be given the opportunity to discuss the contents of the Medication Guide and to obtain answers to any questions they may have. 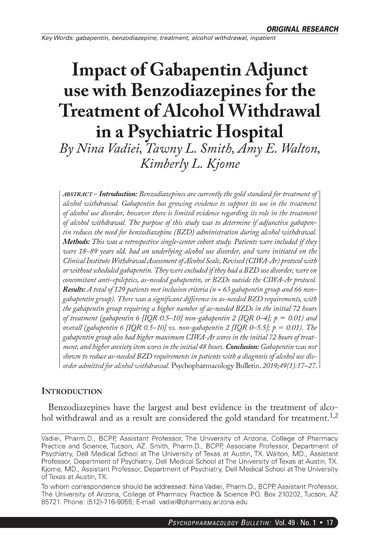 The complete text of the Medication Guide is reprinted at the end of this document. Acidifying agents: Gastrointestinal acidifying agents (guanethidine, reserpine, glutamic acid HCl, ascorbic acid, fruit juices, etc.) lower absorption of amphetamines. Urinary acidifying agents (ammonium chloride, sodium acid phosphate, etc.) increase the concentration of the ionized species of the amphetamine molecule, thereby increasing urinary excretion. Both groups of agents lower blood levels and efficacy of amphetamines. Adrenergic blockers: Adrenergic blockers are inhibited by amphetamines. Alkalinizing agents: Gastrointestinal alkalinizing agents (sodium bicarbonate, etc.) increase absorption of amphetamines. Urinary alkalinizing agents (acetazolamide, some thiazides) increase the concentration of the non-ionized species of the amphetamine molecule, thereby decreasing urinary excretion. Both groups of agents increase blood levels and therefore potentiate the actions of amphetamines. Antidepressants, tricyclic: Amphetamines may enhance the activity of tricyclic or sympathomimetic agents; d-amphetamine with desipramine or protriptyline and possibly other tricyclics cause striking and sustained increases in the concentration of d-amphetamine in the brain; cardiovascular effects can be potentiated. MAO inhibitors: MAOI antidepressants, as well as a metabolite of furazolidone, slow amphetamine metabolism. This slowing potentiates amphetamines, increasing their effect on the release of norepinephrine and other monoamines from adrenergic nerve endings; this can cause headaches and other signs of hypertensive crisis. A variety of neurological toxic effects and malignant hyperpyrexia can occur, sometimes with fatal results. Antihistamines: Amphetamines may counteract the sedative effect of antihistamines. Antihypertensives: Amphetamines may antagonize the hypotensive effects of antihypertensives. Chlorpromazine: Chlorpromazine blocks dopamine and norepinephrine reuptake, thus inhibiting the central stimulant effects of amphetamines, and can be used to treat amphetamine poisoning. Ethosuximide: Amphetamines may delay intestinal absorption of ethosuximide. Haloperidol: Haloperidol blocks dopamine and norepinephrine reuptake, thus inhibiting the central stimulant effects of amphetamines. Lithium carbonate: The stimulatory effects of amphetamines may be inhibited by lithium carbonate. Meperidine: Amphetamines potentiate the analgesic effect of meperidine. Methenamine therapy: Urinary excretion of amphetamines is increased, and efficacy is reduced, by acidifying agents used in methenamine therapy. Norepinephrine: Amphetamines enhance the adrenergic effect of norepinephrine. Phenobarbital: Amphetamines may delay intestinal absorption of phenobarbital; co-administration of phenobarbital may produce a synergistic anticonvulsant action. Phenytoin: Amphetamines may delay intestinal absorption of phenytoin; co-administration of phenytoin may produce a synergistic anticonvulsant action. Propoxyphene: In cases of propoxyphene overdosage, amphetamine CNS stimulation is potentiated and fatal convulsions can occur. Veratrum alkaloids: Amphetamines inhibit the hypotensive effect of veratrum alkaloids. Cardiovascular: Palpitations, tachycardia, elevation of blood pressure. There have been isolated reports of cardiomyopathy associated with chronic amphetamine use. Central Nervous System: Psychotic episodes at recommended doses (rare), overstimulation, restlessness, dizziness, insomnia, euphoria, dyskinesia, dysphoria, tremor, headache, exacerbation of motor and phonic tics, and Tourette’s syndrome. Gastrointestinal: Dryness of the mouth, unpleasant taste, diarrhea, constipation, other gastrointestinal disturbances. Anorexia and weight loss may occur as undesirable effects. DRUG ABUSE AND DEPENDENCE: Dextroamphetamine sulfate is a Schedule II controlled substance. Amphetamines have been extensively abused. Tolerance, extreme psychological dependence and severe social disability have occurred. There are reports of patients who have increased the dosage to many times that recommended. 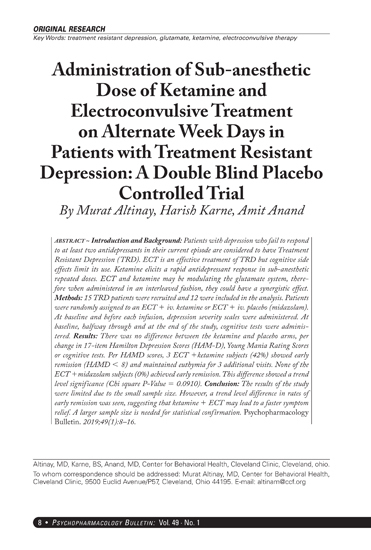 Abrupt cessation following prolonged high dosage administration results in extreme fatigue and mental depression; changes are also noted on the sleep EEG. Manifestations of chronic intoxication with amphetamines include severe dermatoses, marked insomnia, irritability, hyperactivity, and personality changes. The most severe manifestation of chronic intoxication is psychosis, often clinically indistinguishable from schizophrenia. This is rare with oral amphetamines. OVERDOSAGE: Individual patient response to amphetamines varies widely. While toxic symptoms occasionally occur as an idiosyncrasy at doses as low as 2 mg, they are rare with doses of less than 15 mg; 30 mg can produce severe reactions, yet doses of 400 to 500 mg are not necessarily fatal. In rats, the oral LD50 of dextroamphetamine sulfate is 96.8 mg/kg. Manifestations of acute overdosage with amphetamines include restlessness, tremor, hyperreflexia, rhabdomyolysis, rapid respiration, hyperpyrexia, confusion, assaultiveness, hallucinations, panic states. Fatigue and depression usually follow the central stimulation. Cardiovascular effects include arrhythmias, hypertension or hypotension, and circulatory collapse. Gastrointestinal symptoms include nausea, vomiting, diarrhea, and abdominal cramps. Fatal poisoning is usually preceded by convulsions and coma. TREATMENT: Consult with a Certified Poison Control Center for up-to-date guidance and advice. Management of acute amphetamine intoxication is largely symptomatic and includes gastric lavage, administration of activated charcoal, administration of a cathartic, and sedation. Experience with hemodialysis or peritoneal dialysis is inadequate to permit recommendation in this regard. Acidification of the urine increases amphetamine excretion, but is believed to increase risk of acute renal failure if myoglobinuria is present. If acute, severe hypertension complicates amphetamine overdosage, administration of intravenous phentolamine (Bedford Laboratories) has been suggested. However, a gradual drop in blood pressure will usually result when sufficient sedation has been achieved. Chlorpromazine antagonizes the central stimulant effects of amphetamines and can be used to treat amphetamine intoxication. Since much of the SPANSULE capsule medication is coated for gradual release, therapy directed at reversing the effects of the ingested drug and at supporting the patient should be continued for as long as overdosage symptoms remain. Saline cathartics are useful for hastening the evacuation of pellets that have not already released medication.